Thank you for visiting our web site. 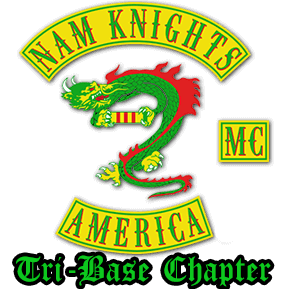 The Tri-Base Chapter is the 66th Nam Knights Chapter and the 7th Chapter located in New Jersey. The Chapter was named after the Joint Base McGuire-Dix-Lakehurst located in Burlington and Ocean Counties. The Nam Knights of America Motorcycle Club started [more than] 25 years ago with a group of men who were looking for the brotherhood they shared in Vietnam. From this original group, the Nam Knights of America Motorcycle Club has grown into an organization that spans the East Coast with Chapters in Canada. The mission of the Nam Knights is to honor the memory of American Veterans and Police Officers who have lost their lives in the line of duty, to assist Veterans and Police Officers in their time of need, and to promote community awareness through sponsorship and participation in various community and fundraising events. The organization's main interests are to stress the importance of helping our fellow veterans, police officers, and their family members that may be in need of assistance. We also place a great deal of importance in the well-being of our veterans, law enforcement personnel, and to bringing out the message to the general public about our prisoners of war and those that are missing in action. We raise funds to support our local police, military, and local community charities by hosting and supporting various events during the course of the year. We will never stop our service and support to our past, present, and future veterans and law enforcement personnel. I would like to especially thank the Nam Knights Ladies for their support and hard work they do for the Club. 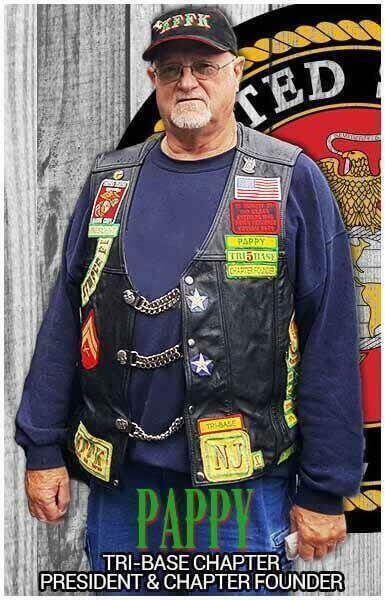 The Tri-Base Chapter of the Nam Knights of America Motorcycle Club seeks those who share the same values and goals. If you would like more information about our Motorcycle Club, please contact us. Thank You for taking the time to visit our web site. Don't forget to like us on Facebook, subscribe to our YouTube Channel, or follow us on Instagram.